Hiking the GTA was able to visit 86 different places in 2015 where we were able to see some truly amazing things. Each season has it’s own beauty and there are always things to be discovered. Over the course of the year more people became aware of the stories we were publishing and readership increased dramatically. Therefore a David Letterman “Top Ten” list would really only focus on the more recent stories. For that reason we present a review of the year 2015 by looking at the most popular post from each month. A brief outline of the story, a picture from it and a link are provided below. Thanks to everyone who read one of our stories this past year. I hope some of you were able to get out and enjoy some of these sites yourself because they are all interesting in their own way. Plus, you never know what wild life you’ll encounter. 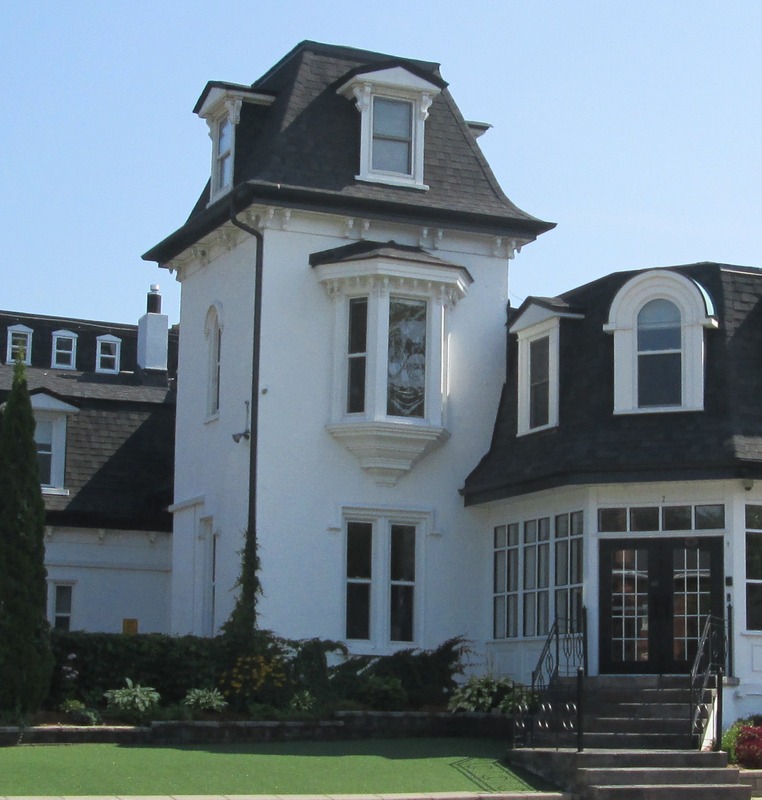 Graydon Hall was released on January 10th. It visits a former millionaire’s estate finding plenty of evidence of it’s past usage. The abandoned pump houses featured below are part of the former irrigation system. The Arsenal Lands was released on Feb. 7th. 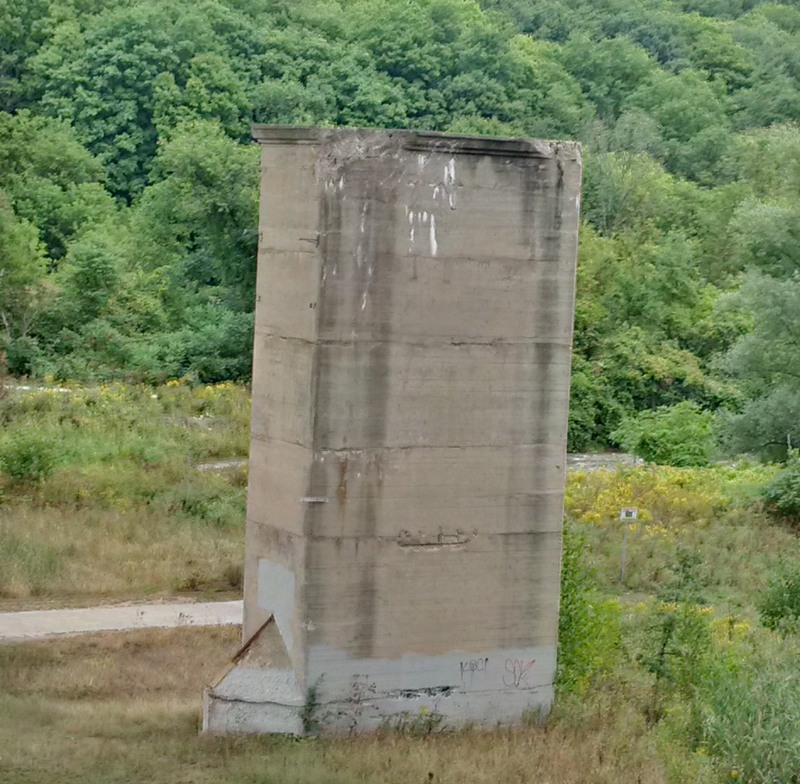 The abandoned water tower and rifle inspection building along with the former rifle range made this an interesting hike. 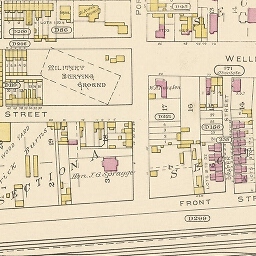 One of the baffles from the rifle range is featured below. Military Burying Grounds was published on March 22 and re-posted for Remembrance Day. 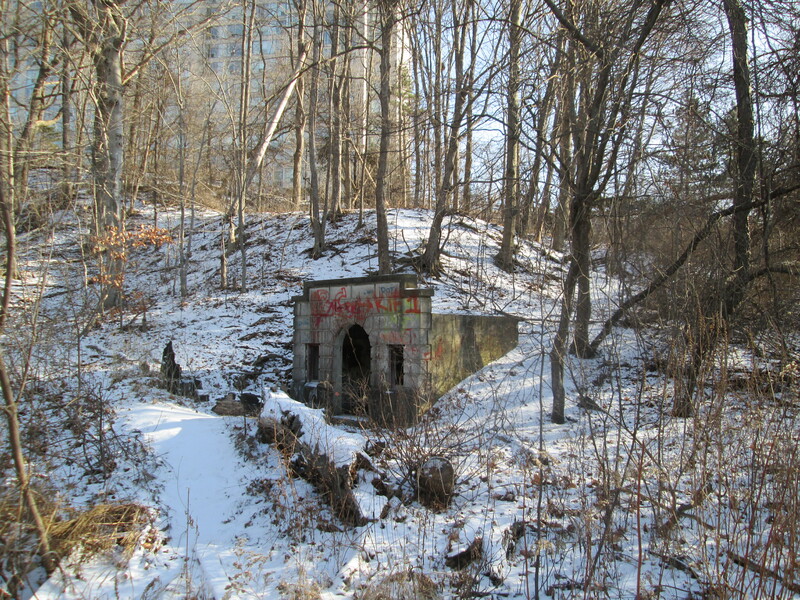 This hike visits the two nearly forgotten places where our early military dead are buried in downtown Toronto. Originally published on April 19th and recently given a Throwback Thursday release Guildwood Park where the inn is currently being restored. 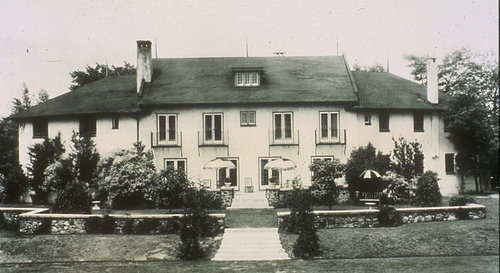 The post looks at the Guild Inn and it’s history along with several preserved pieces of early Toronto architecture. 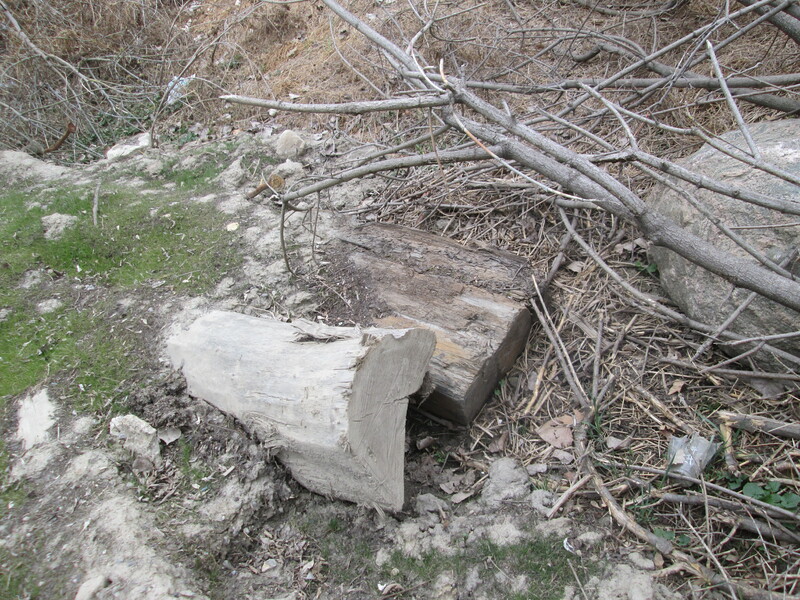 May saw the release of Dufferin Creek which featured the remains of a 150 year old plank road that ran up Dufferin Street near Finch Avenue. It is related to Garbage Park which was a post featured in The Toronto Star. The spikes in the planks from the old road are 2 inches thick and 3 feet long. The first day of summer saw the release of our most popular post of all time. 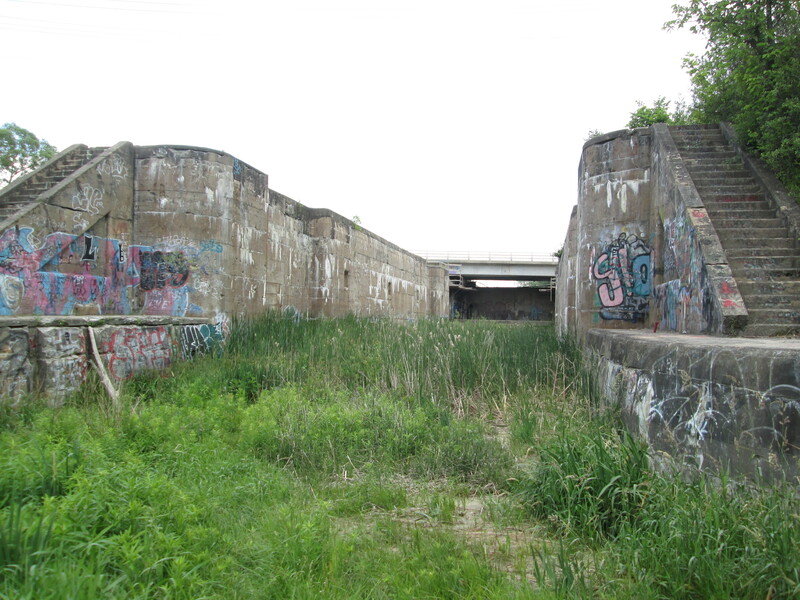 The Newmarket Ghost Canal features the remains of the nearly completed but long abandoned attempt to link Newmarket to Lake Simcoe by a canal. In July we completed our first 100 posts on Hiking the GTA and issued a review called Greatest Treks. One of the most interesting hikes of the month was The Stonecutter’s Dam. 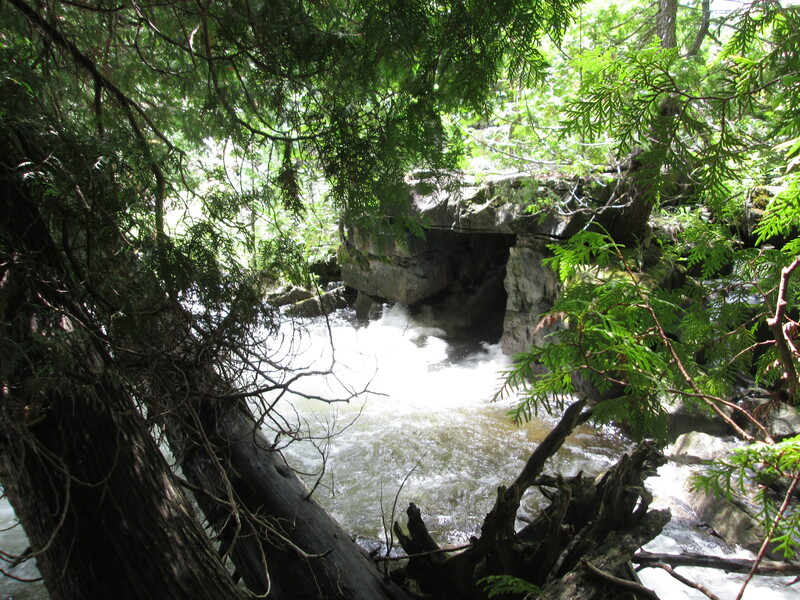 We visited an old dam near the Forks of the Credit which is made of blocks of cut stone. 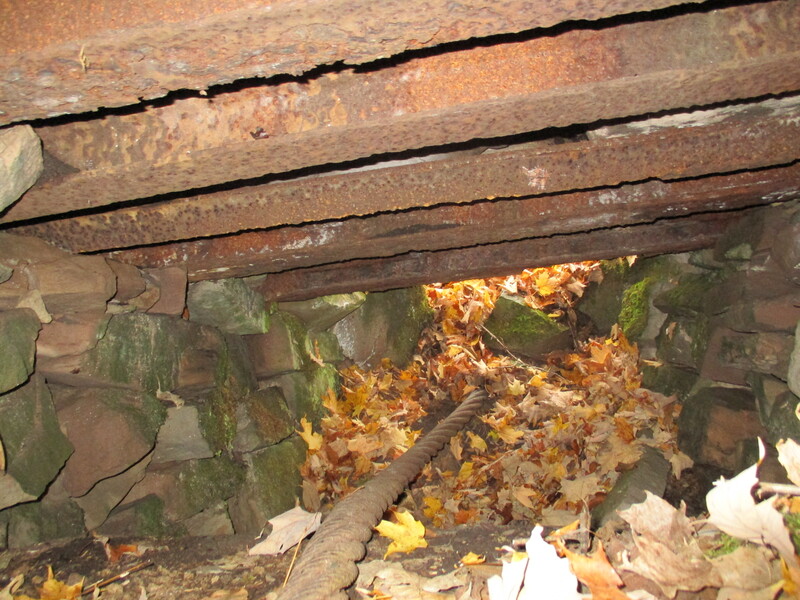 It also sports a rare stone penstock as seen below. On August 15th we checked out Kerosene Castle in Oakville. The castle was built by Richard Shaw who was refining coal into kerosene in a factory across the street on Sixteen Mile Creek. Until it blew up, that is! When we got looking at the pictures we saw that one of them appears to have a large face in the oriel window. It doesn’t show up in any other pictures we took that day. September 12th we visited the Ghost Town of Sixteen Hollow to see what remains of the formerly thriving mill village on Sixteen Mile Creek. There is plenty of history here but all that remains of the original village is the church and the some newer bridge structures. October featured a discovery related to the Caledon Aerial Tramway which made for an interesting hike. On the 24th we found the 2 inch steel cable on The Cox Property. The underground chamber for the cable is seen below. 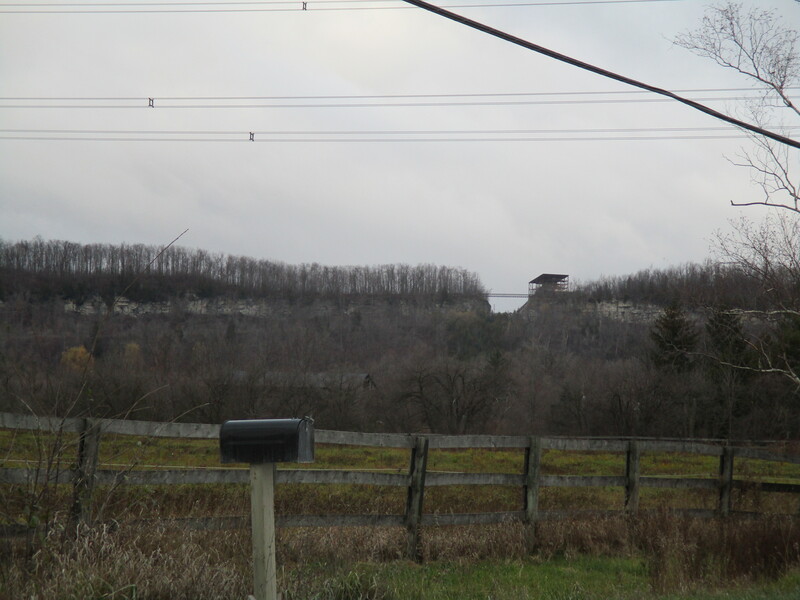 in 1962 a quarry blasted a gap in the escarpment near Milton. We visited The Gap on Nov. 14th in a hike that went on to become the second most popular story so far. December was a busy time but it was an interesting month of hiking as well. 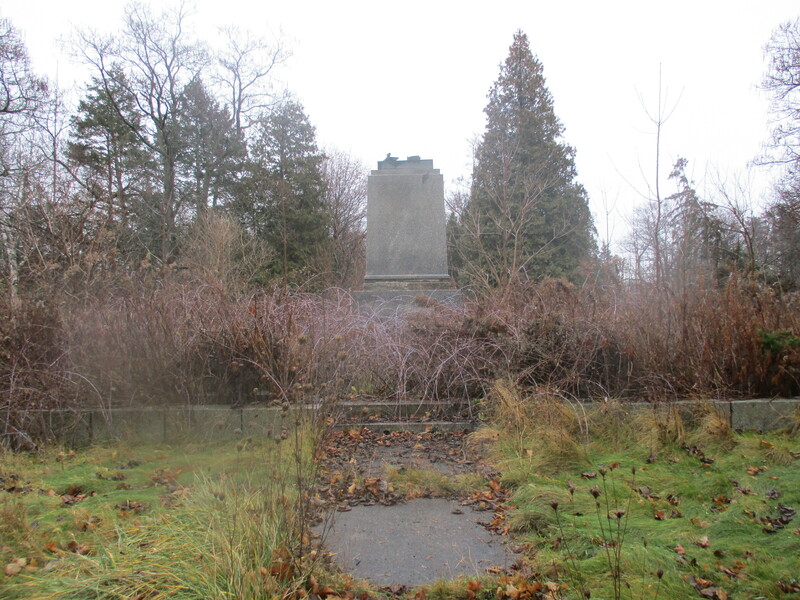 We were back in Oakville on Sixteen Mile Creek on Dec. 13th when we visited The Vandalized Memorial to Taras Shevchenko. The museum was burned down, the monuments stolen and the site abandoned. Thanks again for reading Hiking the GTA in 2015 and we hope you all have a great 2016 and enjoy the trails! We’re looking forward to many great hikes this year ourselves. 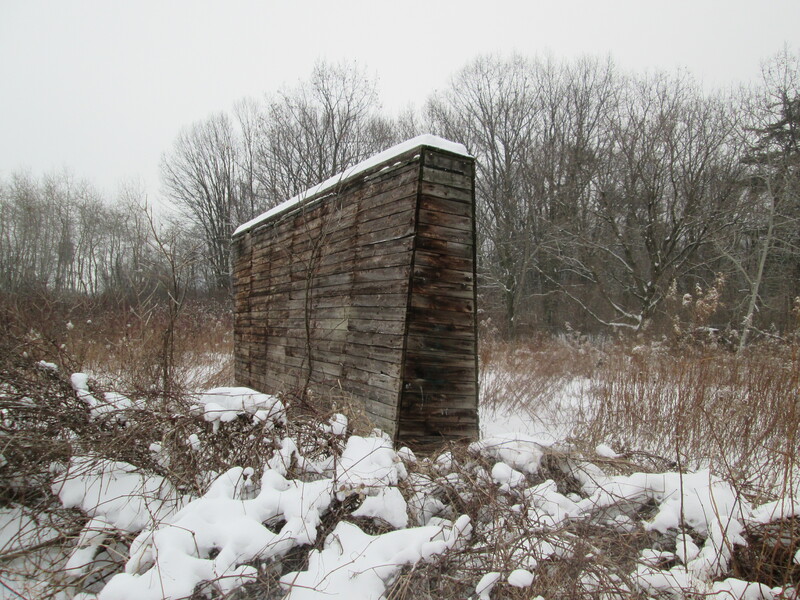 This entry was posted in Hiking GTA and tagged Dufferin Creek, Graydon Hall, Guildwood Park, Kerosene Castle, Military Burying Grounds, Newmarket Canal, Sixteen Hollow, Stonecutter's Dam, Taras Shevchenko, The Arsenal Lands, The Gap on December 31, 2015 by hikingthegta.